An iPad Way to Quiz…. 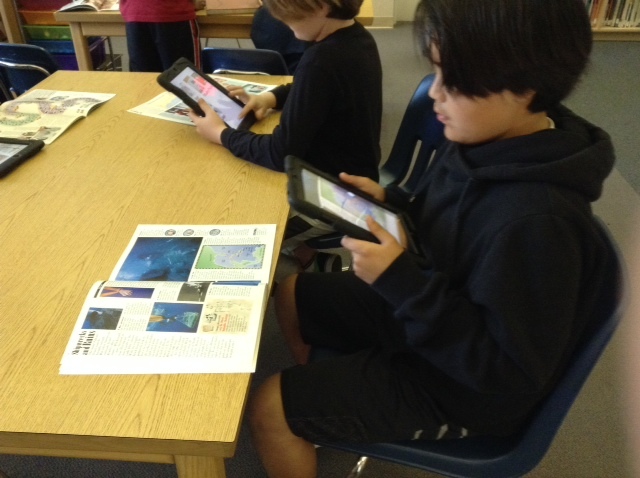 This week 5th and 6th graders took a quiz about Non-Fiction text features using the iPads. It was a fun way to take the quiz and to also get fluent with using a great free app called PicCollage. We used KidsDiscover magazines to find the text features but a collection of non-fiction books would work as well. 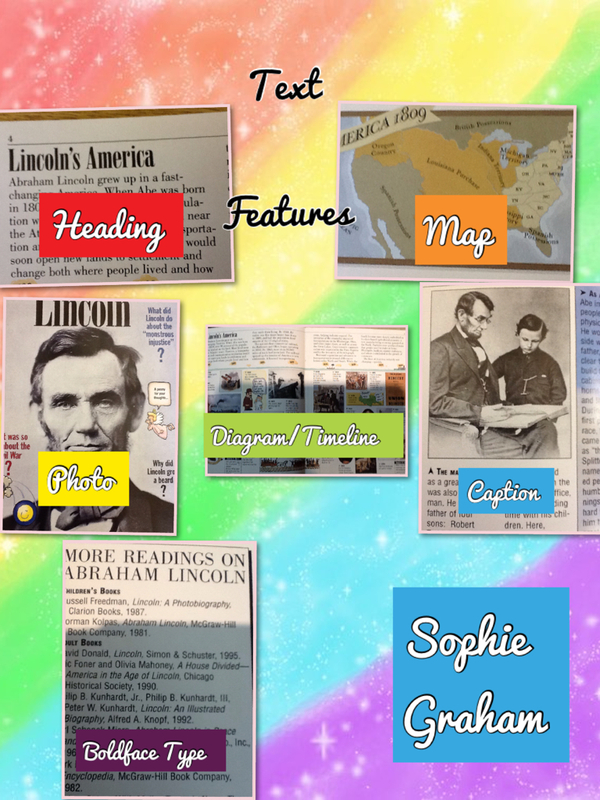 Students could choose 6 features to illustrate in their PicCollage. Their assignment was to take pictures of the feature, label it, choose a new background, put their name on it, and email it to me with their first name in the subject line. 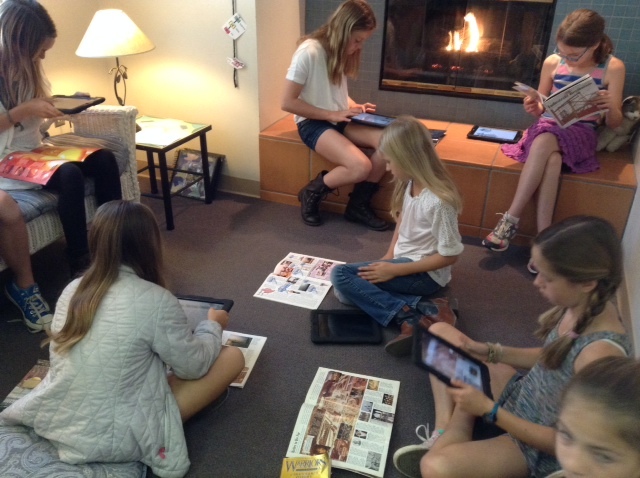 They were very engaged in the project…a very different story than if we had had a pencil and paper quiz. This is also a quick and easy way to “get your feet wet” using iPads and could be adapted to many subjects and grade levels. Using the iPad as a creation device is an important part of our curriculum and PicCollage is a great way to start! Taking a photo in the app is easy and resizing it and moving it around can be done with the touch of a finger. Students enjoy being able to work anywhere! An example of a finished PicCollage. 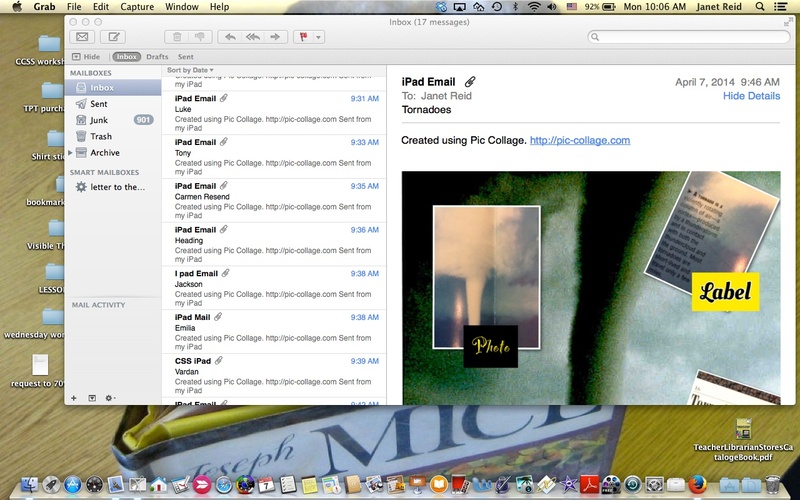 A screen shot of my laptop where I could check students work. Some forgot to put their name in the subject line of the email and I had them resend it. Having a name in the subject line makes it easy to check off students as they email their work. It was a great “Paperless” activity and several students asked if we could do it again soon!